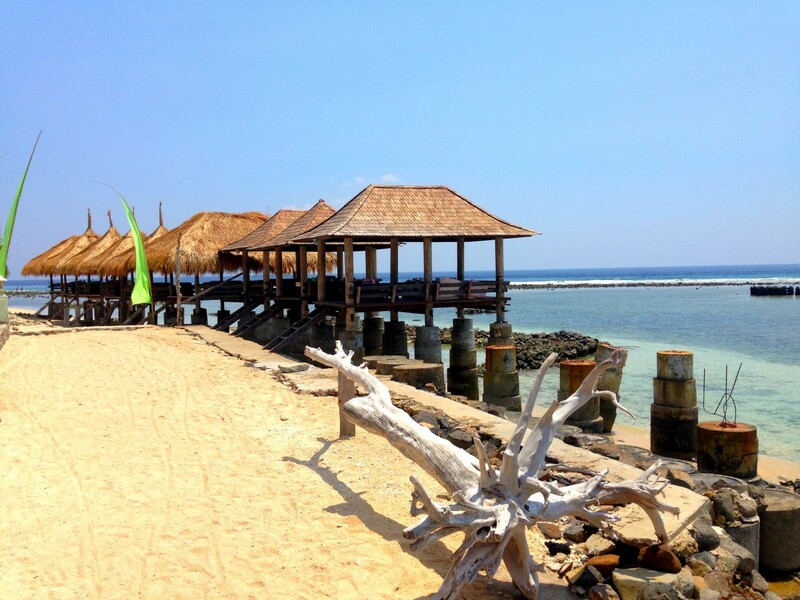 Gili Trawangan is a small island off the coast of Lombok and Bali. It is an eco-friendly island where no cars or motorbikes are allowed. It’s small, walkable, and so much fun. 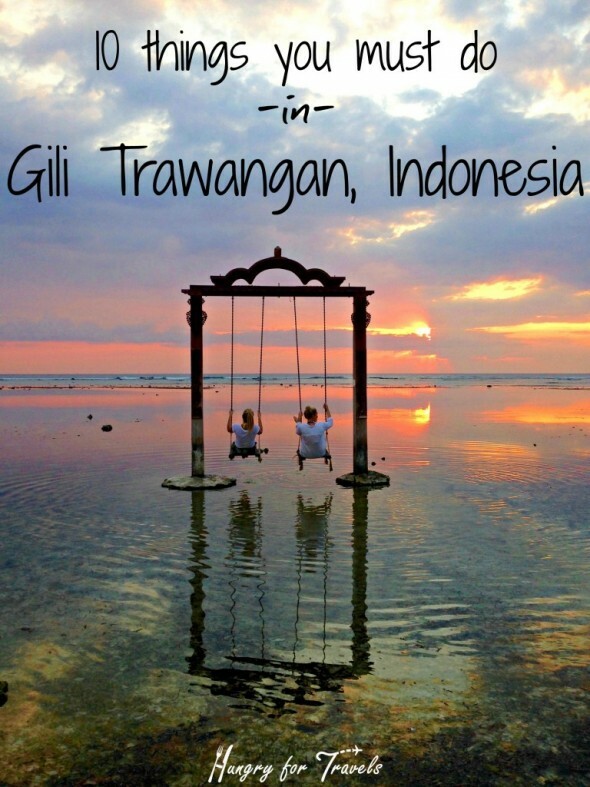 If you are ever in Bali or Lombok heading to Gili Trawangan is a must! 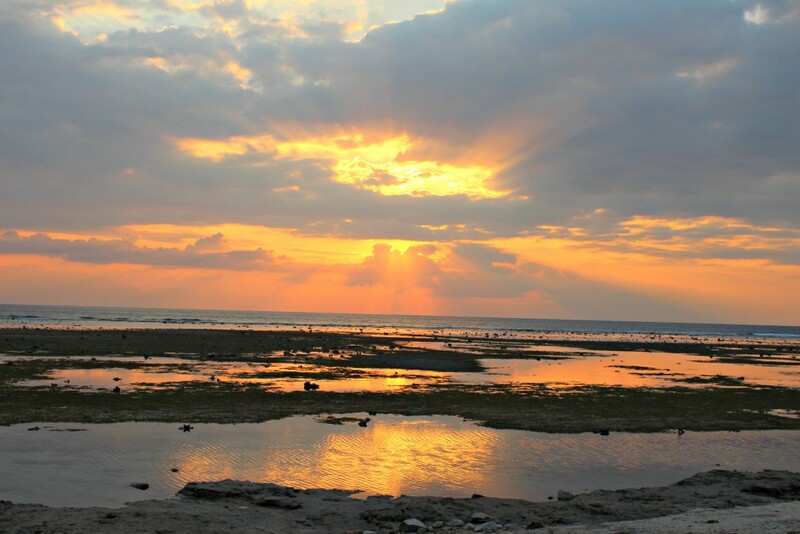 Here’s 10 things you must do while on this beautiful Indonesian island. Stay at an awesome Eco Lodge. 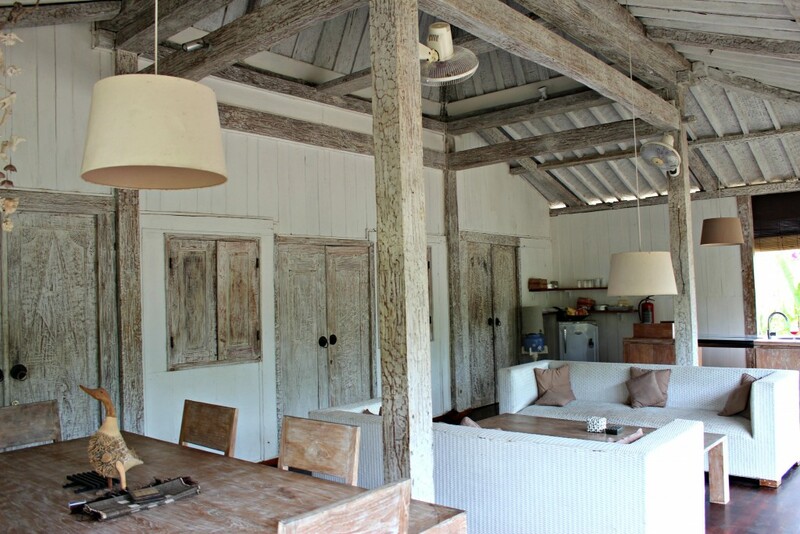 I absolutely loved staying at Gili Eco Villas and highly recommend it. Nothing better than waking up in the morning, hopping in your own hammock on your porch by the ocean, and watching freshly made banana pancakes being delivered. Go diving. Diving around the Gili Islands are incredible. While diving I was swarmed with beautiful turtles and it was an experience I’ll never forget. Not scuba certified? No problem… snorkeling is always an option! 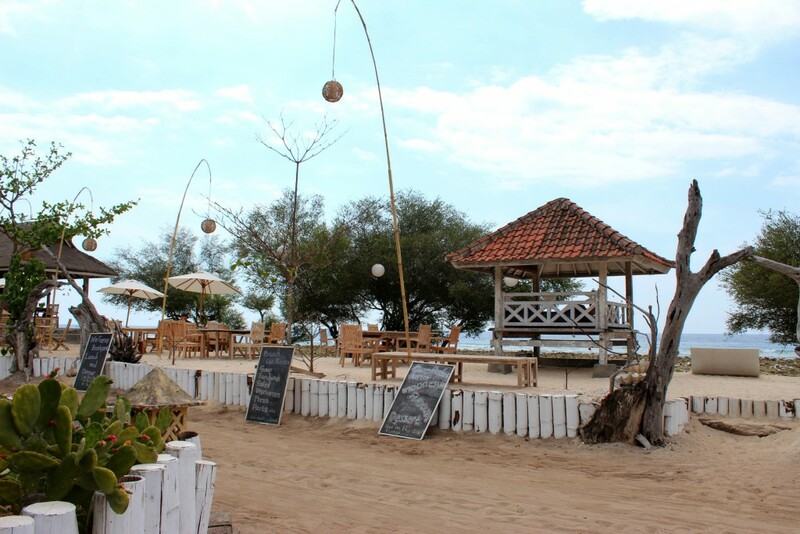 Spend a lazy afternoon drinking Bintang beers in a hut on the water. They love their over water huts, and so do I. It was so relaxing just spending an afternoon after diving drinking a cold beer and watching the waves come in. Find Casa Vintage. Walk around the perimeter of the island and you will find this gem. 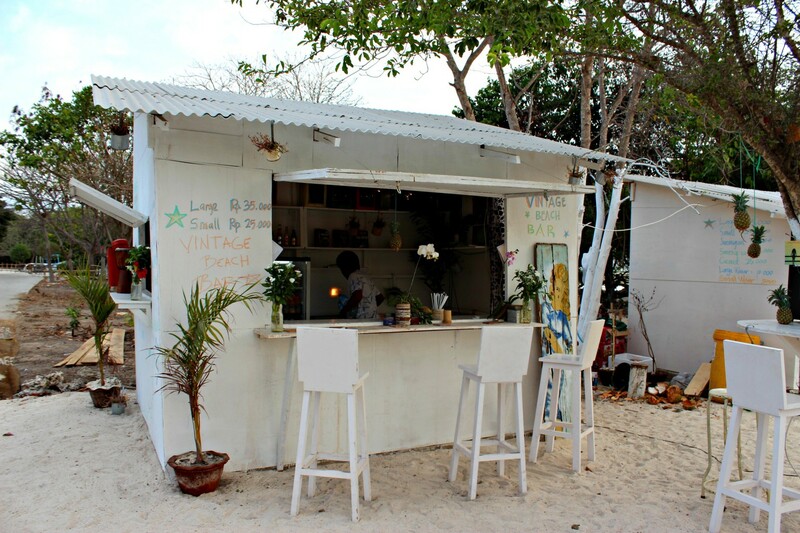 It’s a small pop-up bar and shop with great views and away from the madness of the center of the island. 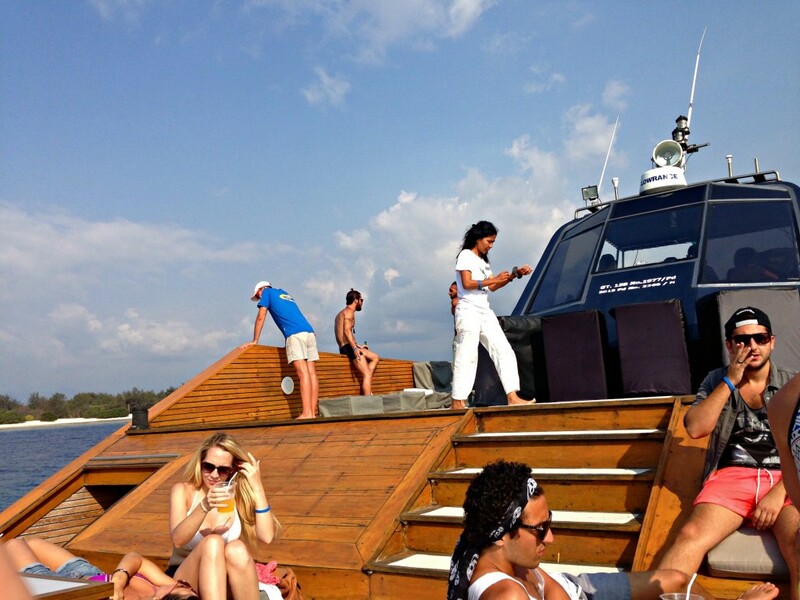 Get weird on a sunset booze cruise. Indonesia in general is filled with Aussies and those Aussies know how to party. My cousin and I went on a sunset cruise and they got wild and it was so fun. We sat on the deck of the huge boat watching the sunset behind Bali in the distance laughing and drinking with new friends. Eat. 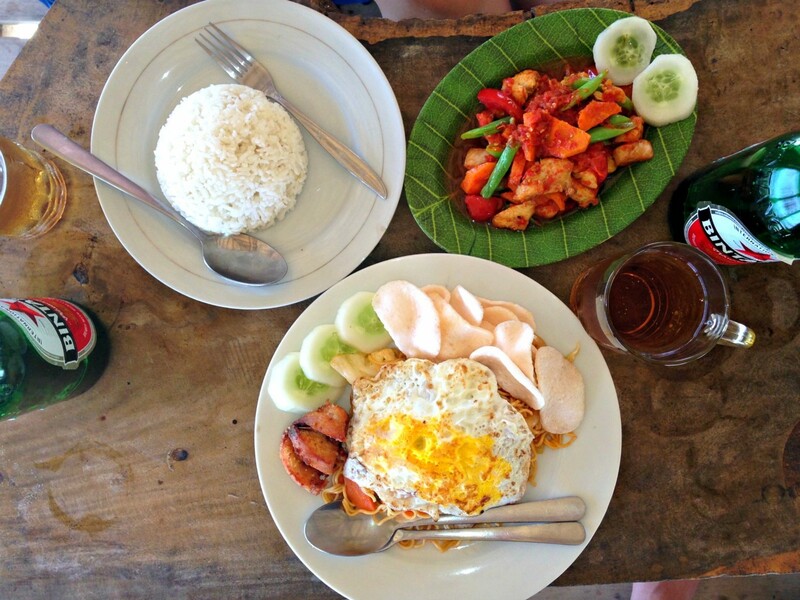 Surprisingly enough the food on the island was delicious! Great fresh seafood, noodles, and more. Sit on the beach and watch the sunset. I would have to say that they have the best sunsets I’ve ever seen besides where I live in Florida. They were absolutely beautiful and mesmerizing to watch. Grab a blanket or bean bag and relax. Walk the island. There are three ways to get around the island. Walk, horse cart, or bike. All great options but walking around you stumble on to all kinds of great finds. The island is small and you can get from one side to the next in a hour. Go boating. There are a ton of boats more than willing to take you around. If you hop on a boat they can take you to Gili Menos or Gili Air which are close by islands. The obvious: find the swing to take a picture. 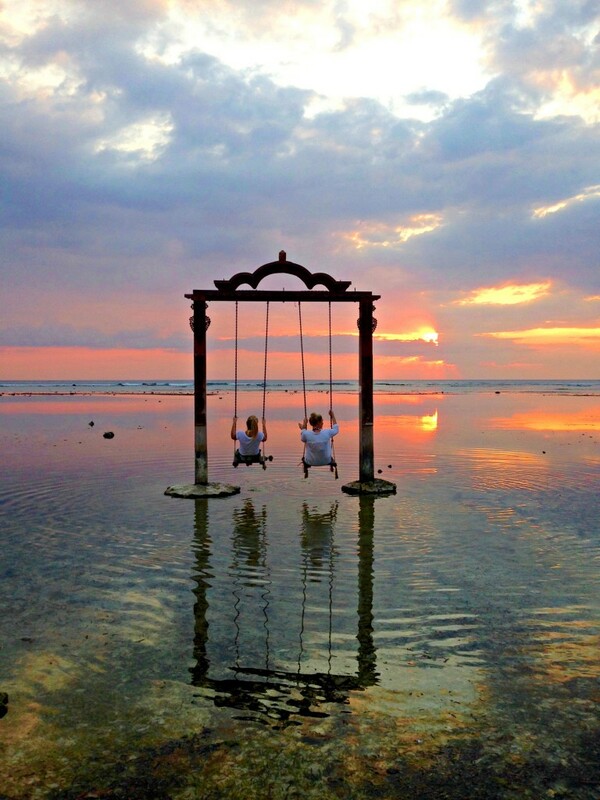 The swing is literally what put Gili Trawangan on everyone’s bucketlist and for good reason. It’s freaking awesome and probably one of my all time favorite pictures. Go at sunset for the best photo op. Great Holiday Vacation In Indonesia!